I know what you are going to say. You guys have been featuring too many watercooled front-engine Porsches on DT recently, can't we get back to Volvos? First, CFlo has been on vacation, so the Volvos will return, but second (and more importantly) -- there is no such thing as too many inexpensive German sports cars. Are they expensive to repair and not that fast by modern standards? Yes. But so are dozens of other crummy cars from the 80s that cost 3X as much, so get yourself into a 924/944/968/928 while you still can. 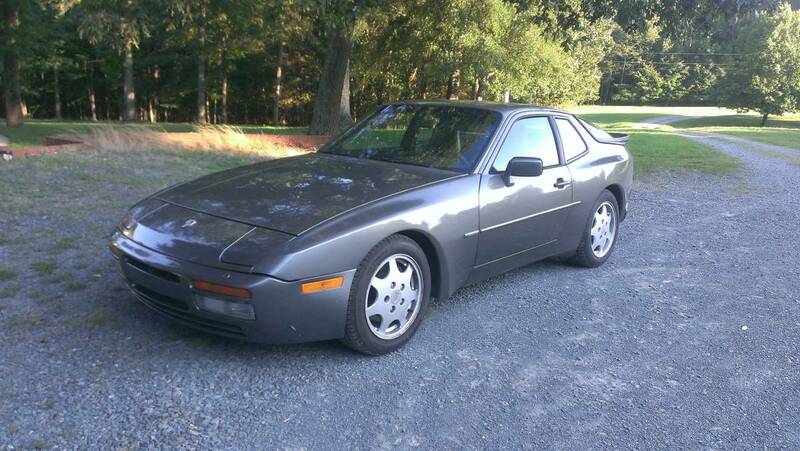 Like this 1989 Porsche 944 Turbo offered for $5,500 in Rock Hill, SC via craigslist. 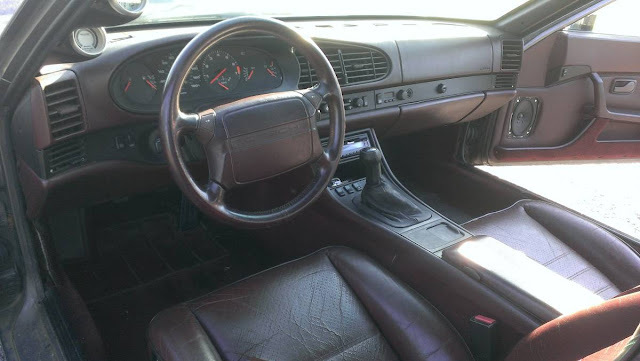 Todays 944 Turbo has a dirty little secret that perhaps explains some of the low price -- it started life as a 944 S2, which used the 3.0 liter version of the non-turbo M44 inline4 found in the 944S, but from the factory it had the same rounded nose with integrated front bumper and rear valance from the turbo model. This S2 is now powered by a 2.5 liter turbocharged inline-4 that produces 217 horsepower and pushes the transaxle equipped Porsche to 60mph in just under 6 seconds (compared to the 6.5 for the non turbo S2 version). Even with the non-original engine, this seems like a decent deal for any Porsche from the late 80s. I would like to try one with an LS1 swap which makes much more sense to me, especially in a Turbo shell with the bigger brakes, suspension and HD transmission with LSD. The turbo driveline is supposedly good for near 400hp and a little less torque. Nonturbo gear can't handle v8 torque at all. 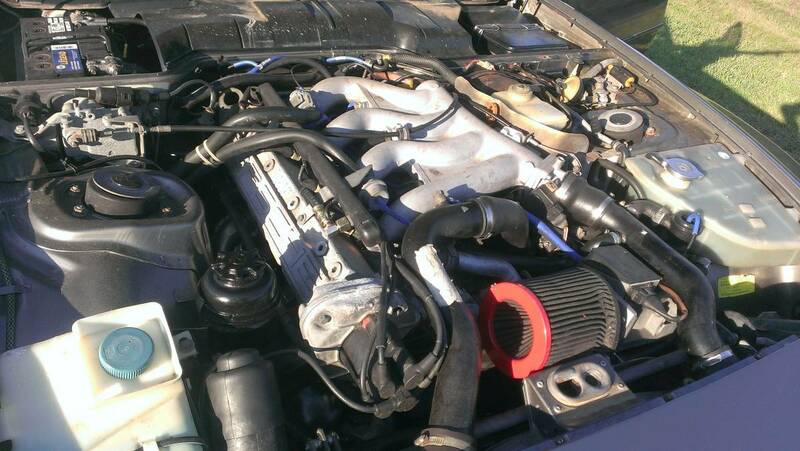 An ls1 swap would probably lighten the car too, and these are already pretty light and really well balanced.